Make an expanding database for survey where infinite answer and huge number of question and people involved than it is quite hard to make the design for survey database. It is most wise to create fewer table and more views for ur required operation, first thing first , we have to create an entity relationship diagram for design. 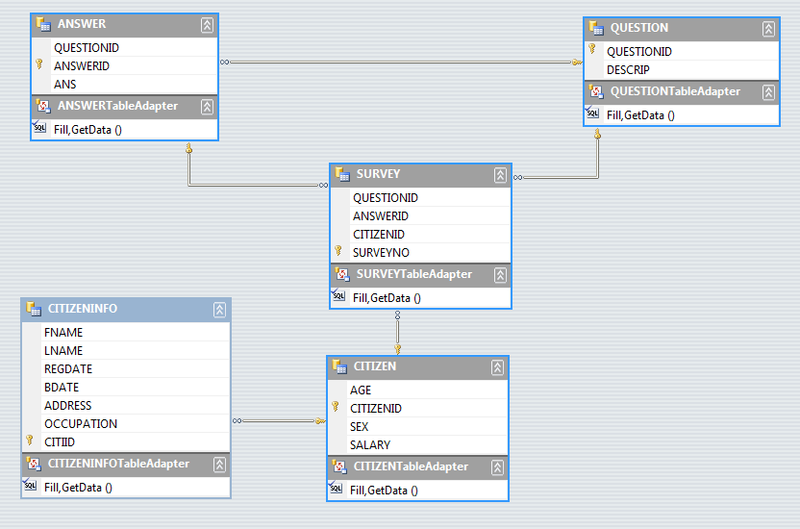 see the basic model for ER-diagram of a survey database manage ment system. In our project database side have five table. To display data we make user interface. By user interface we show all data in different way. An user can easily know any information of the citizen. User can easily insert , delete,update, and search data from table. User can input question and answer. In citizen table citizen id is unique key.In citizeninfo table citizenid is unique key.citizenid is foreign key citizeninfo table. 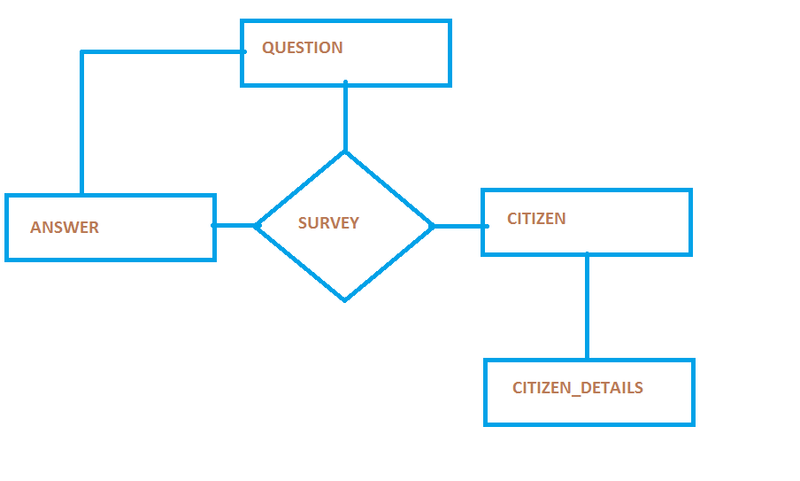 By this foreign key we show all information from two table.In question table question id is primary key and answer table answer id is primary key.Question id is foreign key on the answer table.To maintain these table have survey table.In survey table question id ,answer id, citizen id and survey number.By this table we know all information about citizen. in next part we will show how these are implement in c#. This entry was posted in DATABASE, Winform app and tagged create survey database in sql, database, dbms, entity relationship diagram, ERDIAGRAM, relationship in a dbms, sql code, sql sourcecode for dbms, survey, survey DBMS, table, view. Bookmark the permalink.